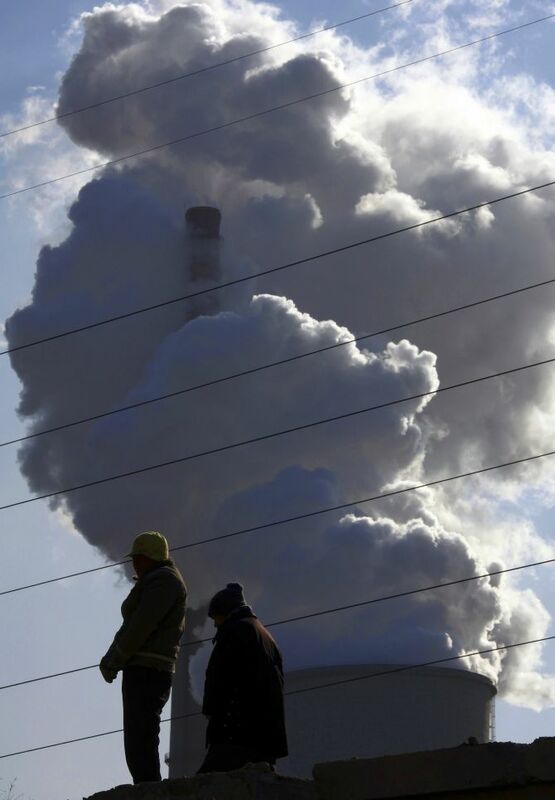 In a landmark step to combat climate change, about 200 nations, including India, on Saturday struck a legally-binding deal after intense negotiations to phase down climate-damaging hydrofluorocarbons that have global warming potential thousand times more than carbon dioxide. Negotiators and policymakers held meetings all through the night, intensely deliberating to iron out differences over the amendment to the Montreal Protocol to reach the Kigali Amendment to phase out HFCs -- that are widely used in fridges, air conditioning and aerosol sprays. The agreement reached by 197 parties on the amendment to the Montreal Protocol on Substances that Deplete the Ozone Layer is expected to prevent a global temperature rise of up to 0.5 degree Celsius by the end of the century, while continuing to protect the ozone layer. According to the amendment, developed nations will reduce HFC use first, followed by China. India and nine other nations of South and West Asia will follow suit. Overall, the deal is expected to reduce HFC use by 85 per cent by the year 2045. “We were flexible, accommodative and ambitious. The world is one family and as a responsible member of the global family, we played our part to support and nurture this agreement,” he said according to an official statement. The amendment will enter into force on January 1, 2019, provided that at least 20 instruments of ratification, acceptance or approval of the amendment have been deposited by states or regional economic integration organisations that are parties to the Montreal Protocol on substances that Deplete the Ozone Layer. Under the amendment, three different schedules have been set for countries to freeze and then reduce their production and use of HFCs. The developed countries, led by the US and Europe, will reduce HFC use by 85 per cent by 2036 over a 2011-13 baseline. China, which is the largest producer of HFCs in the world, will reduce HFC use by 80 per cent by 2045 over the 2020-22 baseline. India will reduce the use of HFCs by 85 per cent over the 2024-26 baseline. Developed countries have also agreed to provide enhanced funding support to developing countries. The Montreal Protocol amendment is legally-binding, unlike the Paris Agreement signed last year but set to enter into force next month. India’s lead negotiator Manoj Kumar Singh said: “It was a very good negotiation and hope all the parties are happy with it because major concern of major countries - all the economies - has been taken care of and it is a good balance between environment and economy,” Kumar said. Noting that India has taken a position to have baseline of 2024-26, then freeze year in 2028 and start work thereafter, Kumar said, “we will be having a very good ambition and doing the phase down in time”. The baseline is the year against which each country’s consumption of HFCs is capped. Countries will have to reduce HFCs from that capped amount. Hailing India’s role in reaching the deal, Indian climate experts said India went with a clear strategy and a proactive agenda to enhance the overall environmental ambition of the agreement and to protect the nation’s economic interests. Director-General of Centre for Science and Environment Sunita Narain said the Kigali amendment reflected the principal of common but differentiated responsibility. “It also reflects the emerging reality of a world in which China will have to take more and more responsibility to solve global environmental issues,” she said in a statement. The amendment is a critical step towards limiting warming and the single biggest climate action of the year, just weeks before leaders meet in Morocco for international climate talks. Climate Action Network, an NGO working to promote government and individual action to limit human-induced climate change, said the results from Kigali as well as the recent outcome on aviation emissions shows that governments are taking the objective of the Paris Agreement seriously. On Friday, after holding bilateral talks with US Secretary of State John Kerry on the sidelines of the Kigali Conference, Environment Minister Dave said India has agreed to move its freeze year from 2030 to 2028. Freeze year is the year in which phasing down of HFCs begin. The Kigali Amendment to the Protocol has created three categories of countries, with different schedules and timetables for reductions, and with the vast majority of countries freezing production and consumption by 2024. Developed countries agreed to make their first HFC cuts by 2019. China, Brazil, South Africa, Argentina, and more than 100 other developing countries have committed to freeze their HFC production and use by 2024, and make further reductions thereafter. India, Gulf States, and Pakistan have agreed to make HFC reductions on a slower track. Does India have the solution to climate change? Is the Paris climate pact unfair and inadequate?